The Jews (Falasha) of northwestern Ethiopia are a unique example of a Jewish group living within an ancient, non-Western, predominantly Christian society. 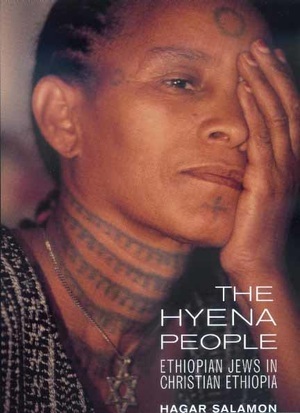 Hagar Salamon presents the first in-depth study of this group, called the "Hyena people" by their non-Jewish neighbors. Based on more than 100 interviews with Ethiopian immigrants now living in Israel, Salamon's book explores the Ethiopia within as seen through the lens of individual memories and expressed through ongoing dialogues. It is an ethnography of the fantasies and fears that divide groups and, in particular, Jews and non-Jews. Recurring patterns can be seen in Salamon's interviews, which thematically touch on religious disputations, purity and impurity, the concept of blood, slavery and conversion, supernatural powers, and the metaphors of clay vessels, water, and fire. The Hyena People helps unravel the complex nature of religious coexistence in Ethiopia and also provides important new tools for analyzing and evaluating inter-religious, interethnic, and especially Jewish-Christian relations in a variety of cultural and historical contexts. Hagar Salamon is a Lecturer in the Department of Jewish and Comparative Folklore at the Hebrew University of Jerusalem.